This tool is designed to help installers to set-up and focus PoE-enabled network cameras easily. 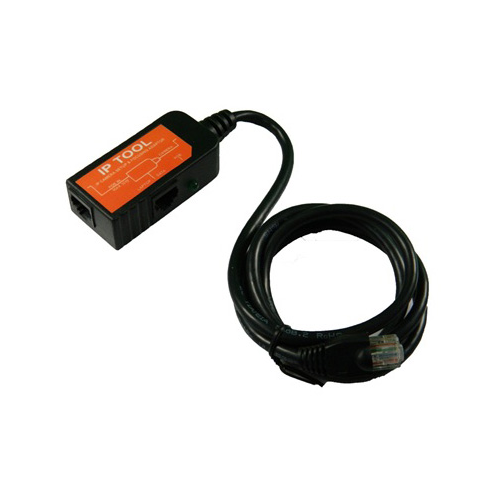 You can adjust the focus instantly by viewing the network camera output on a laptop or PDA while next to the camera location, eliminating the need for an additional tech to view the output remotely and relay focusing and pointing instructions to the installer. IP cameras, unlike analogue cameras which can be set up using the AZTEST, require decoding and decompression of the digital video stream for display. 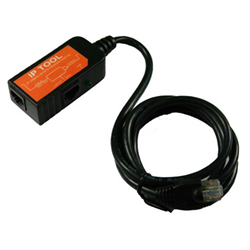 This tool allows PoE to be passed to the camera, while also allowing a laptop or PDA to be networked directly to the camera. As the installer can take total control of the set-up, viewing live images from the camera as it is being installed, this saves on both time and cost.